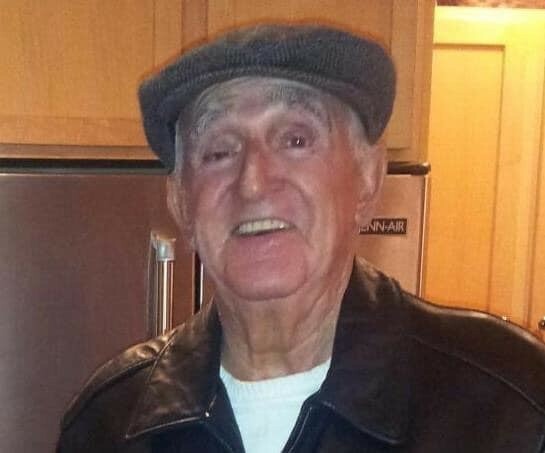 McCUSKER, Leo V., of Braintree, passed away peacefully, at the age of 89, on April 11, 2019. Loving husband of the late Florence (Dunn) McCusker. Father of Patricia Burke and her husband Ed of Bonita Springs, FL, John McCusker and his wife Patricia of Braintree, Tom McCusker and his wife Joyce of Scituate, Mary Ann Keady and her husband Jim of Braintree, Margaret Young of Braintree and Kathy Slowey and her husband Dom of Hanover. Leo was a loving grandfather of twenty-two grandchildren and twenty-four great grandchildren. Brother of the late John J., Dorothy, Mary and Eleanor McCusker. He was the loving son of the late John and Margaret (Quinn) McCusker. Leo worked his entire life beginning with his dream job at the Boston Herald Traveler where he worked from 1945-1972 as a Production Manager. After the paper was shuttered he was appointed to the City of Boston Rent Control Board where he became Vice-Chairman. Leo then moved on to the MBTA where he served in various capacities until his retirement. Leo was also very active in union activities and politics. He was a campaign manager for many local candidates. Leo discovered running later in life and developed into a fine Masters (40+) & Senior Masters (50+) runner competing in many road races and achieving his dream of qualifying and finishing the Boston Marathon multiple times. He was the Race Director for the Joseph M. Smith Road Race in Allston for many years. He was an avid Boston sports fan, particularly the Bruins and Red Sox. In retirement Leo and his wife Florence enjoyed traveling to Florida enjoying the sun and beach. Leo was extremely proud of his children, grandchildren and great grandchildren and along with Florence attended many ballgames, concerts and plays his large family was part of. Relatives and friends are respectfully invited to attend visiting hours on Tuesday, April 16th, from 4:00 – 8:00 PM in the Cartwright-Venuti Funeral Home, 845 Washington St., Braintree. A Funeral Mass will be celebrated on Wednesday, April 17th, at 10:00 AM in St. Thomas More Church, 7 Hawthorn Rd., Braintree. Burial will follow in Holyhood Cemetery, Brookline. In lieu of flowers, memorial contributions may be made in his name to, Season’s Hospice Foundation, 1 Edgewater Dr., Suite 103, Norwood, MA 02062.